Ernest Bates was born on September 20, 1936 to the late Charles and Leola Williams Bates, Sr. He departed this earthly journey on March 17, 2019, at the home that he shared with his wife for forty years. Ernest was educated in the public schools of Richland County and was a graduate of Booker T. Washington High School. He served in the United States Army as a paratrooper. He was later employed by Shakespeare Manufacturing (now Jarden Applied Materials) for fifty years. He worked faithfully until his health began to fail. Ernest dedicated his life to his family, career, church and community. 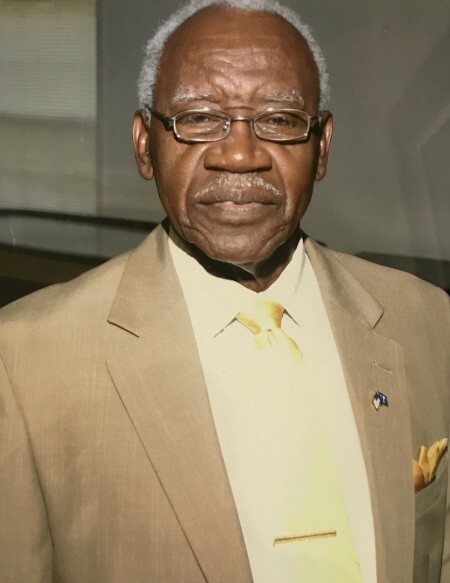 He was a devoted member of Heyward A.M.E. Church where he was a member of the Board of Trustees. Ernest was preceded in death by his parents, Charles and Leola Williams Bates, Sr.; two sisters, Thelma Bates Williams and Laura Mae Wells; and four brothers, Charles Bates, Jr., Theodore Bates, Ben Jackson, and Ulysses McCants; step-son, Wade Long, Jr.
Ernest leaves to cherish his precious memory his loving wife of 46 years, Addie Bates; one daughter, Carmen (Jeff) Belton Carter of Columbia, SC; nine grandchildren, Troy, Todara, Tiasha, and Tecola Belton and Tynesha Pagan, Brittney Thomas, Delvaron Thomas and Bernard Tucker, all of Columbia, SC and Chean Caldough of Florida; 11 great-grandchildren; one brother-in-law, Ben Williams; three sisters-in-law, Rebecca Bates, Frances Jackson, and Deloris Bates; a host of loving relatives and friends.